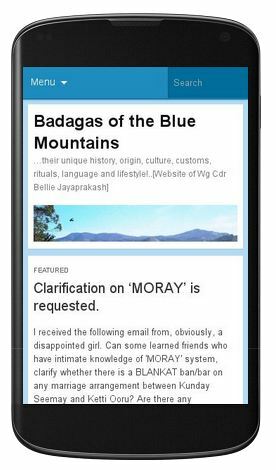 Badaga Origin – the big mystery ?! The origin of Badagas is a big mystery. What is the origin and how old is the history of Badagas? 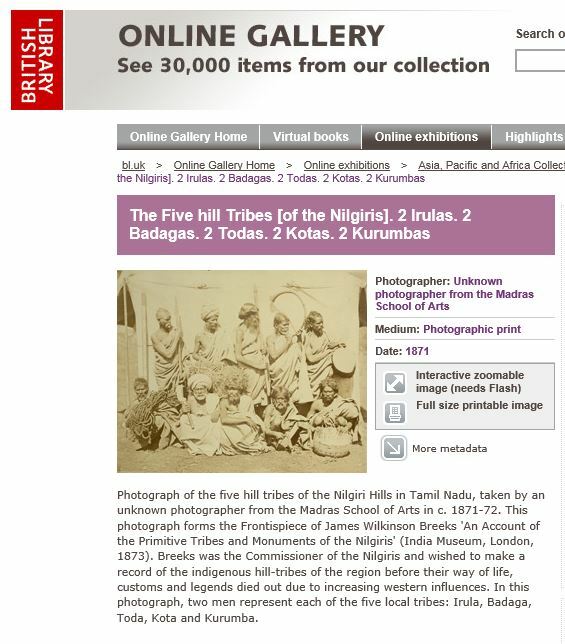 How long have they been in the Nilgiris – the hills known to Badagas as Naakku Betta [though literally Naakku Betta means four mountains it actually refers to many surrounding mountains]? 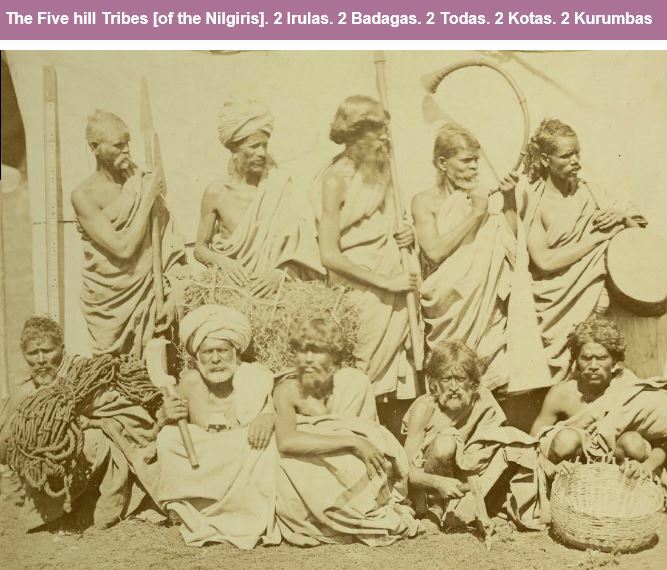 When researchers and anthropologists on a scholarship [or funded by universities] in the west can stoutly claim that tribes like Todas and Kothas [Thodhamaru and Kotharu to Badagas] are original inhabitants of the Nilgiris and termed as PTGs [ Primitive Tribal Groups], why are they hesitant to offer the same classification to Badagas whose language, customs, traditions, rites and rituals are unique, is a big mystery!? Because, apart from some explorers, especially Europeans and ‘trained’ anthropologists along with some local ‘well informed'[ should it not be ill informed?] 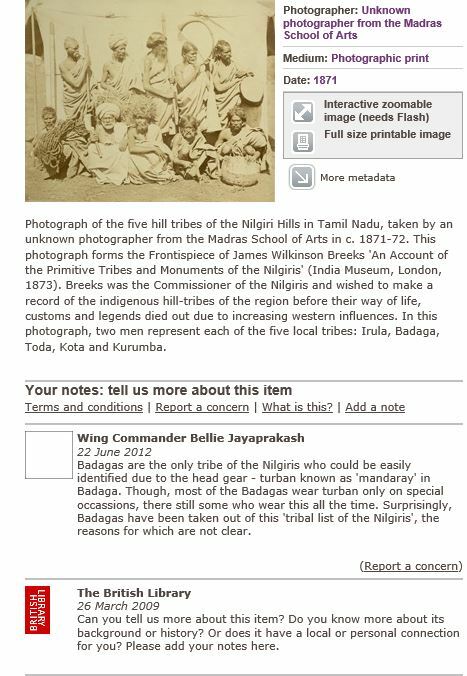 Indians including Badagas have come to the conclusion that since the predominant meaning of Badaga is northerner and hence they have migrated from the north – Mysore plains. 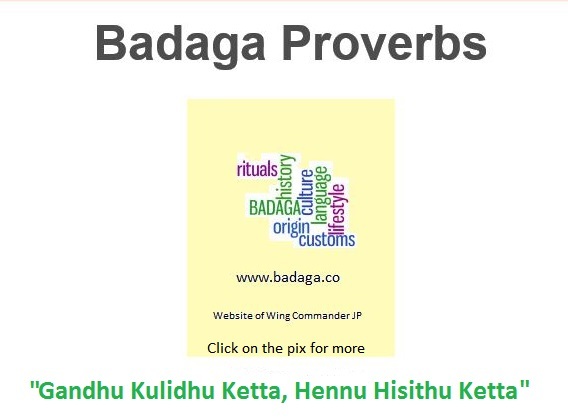 Yes, just based on the name Badaga and it its meaning. Even if the theory of migration is to be accepted [with not a pinch but a handful of salt], the ‘so called researchers’ seem to overlook the fact that north of the Nilgiris does not end at Mysore plains but stretches much beyond. One researcher, to whom I have plenty of respect, goes to the extent that Badagas, themselves, had told about this migration in 1603 to Finicio.